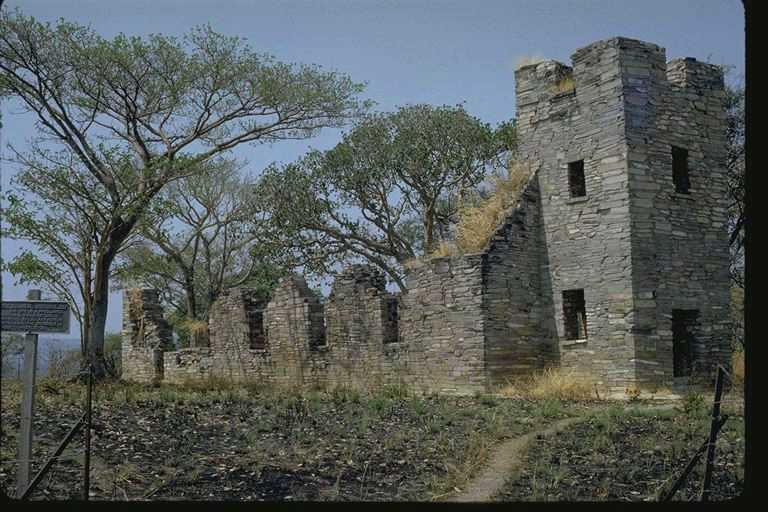 Niamkolo Church, on the shores of Lake Tanganyika, was built in 1894 by the London Missionary Society who commenced operations in this area in 1880.  Subsequently abandoned because the site was unhealthy. Horizon article about Niamkolo Church. The fishing harbour at Mpulungu. The following information has been provided by Andy Clark. Andy's father Peter was PC at Kasama. 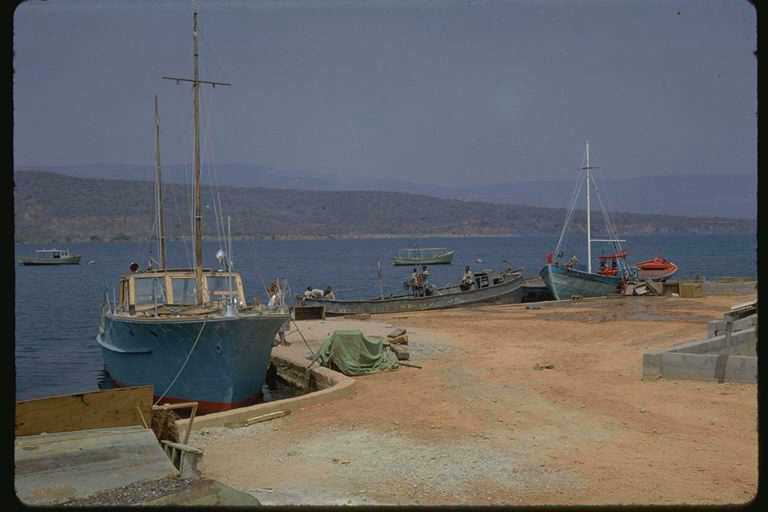 The blue boat belonged to the government and was called the 'Dame des Isles' - one of the Dunkirk little ships brought to Lake Tanganyika by way of the Congo! There was a plate screwed to the cabin wall explaining its role at Dunkirk. The two guys who acted as crew and custodians of her were called Drake and Nelson. Always efficient , they made sure that a drum of dry ice was on board to keep the beer and tonics cold for visitors. Dad told me that the boat actually once took a detachment of Police out to trouble at a village so perhaps it could be described as the NR navy! 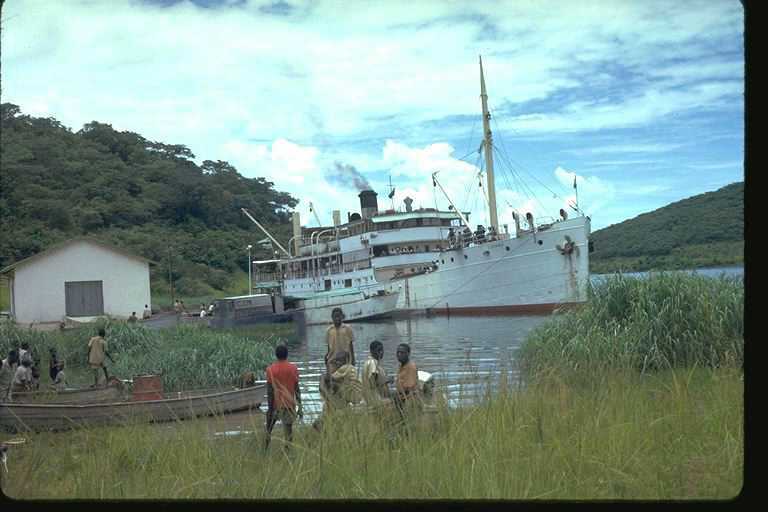 The Liemba was assembled and launched on Lake Tanganyika at the start of the First World War having been built in Germany. She was scuttled off the mouth of the Malagarasi River in July 1916. After the war she was raised by the new Tanganyika Government, reconditioned and refitted at a cost of £49 600. She made her first voyage on the 16th of May, 1927. The Liemba is 220 ft long with a beam of 33 ft, a draft of 9 ft and has a tonnage of 793 tons. Michael Palin travelled on the Liemba in 1992 for his TV series. Those suspected of a crime could prove their innocence by swimming to the island in the background - if they made it past the crocodiles. The trimaran Triton was run by Peter Parton on Lake Tanganyika. Tourists could travel on it from Mpulungu up to the Kasaba Bay Game Park. 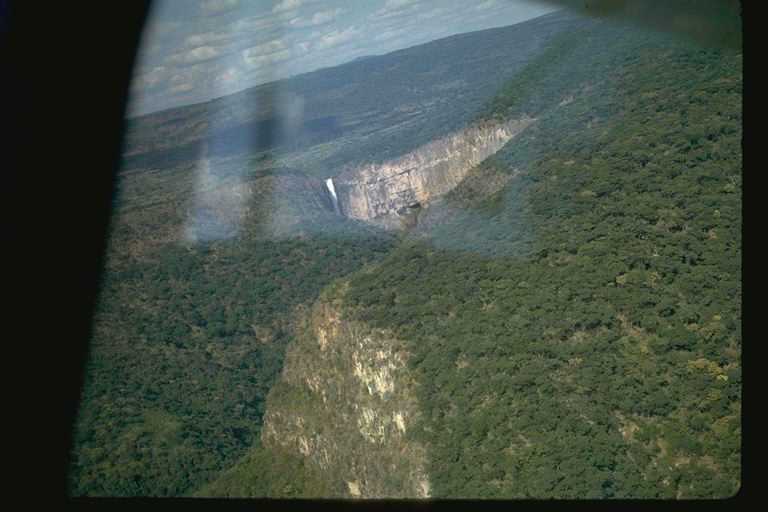 Taken on a flight up to the Rukwa with an International Red Locust pilot. 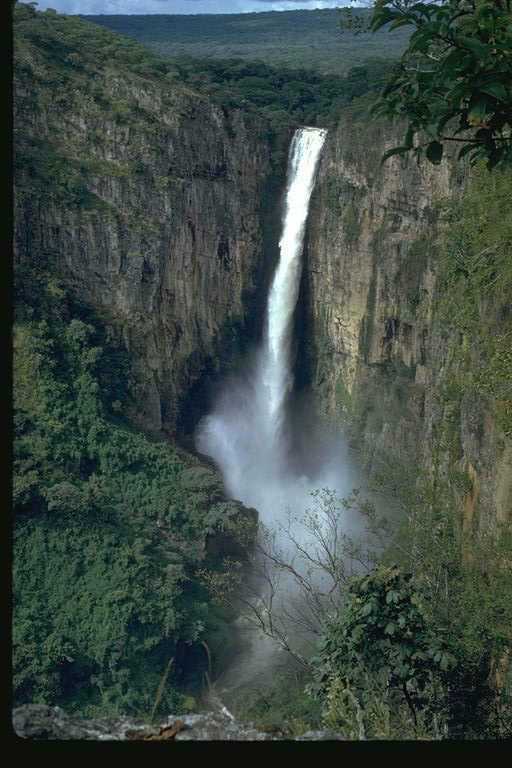 The Kalambo Falls are the eleventh highest in the world at 714 ft. There have been archaeological excavations which have uncovered stone age artefacts. 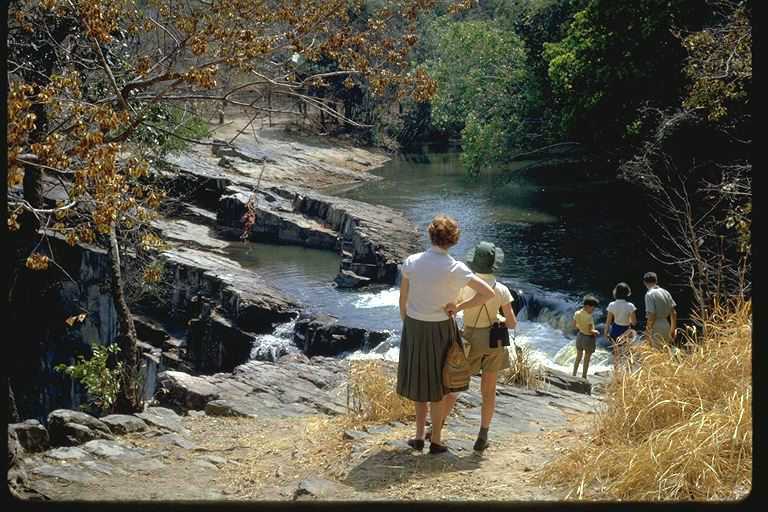 At the top of Kalambo Falls on the border between Zambia and Tanzania.